Carved from light rubberwood, these decorative pieces are quirky and cute. They've been shaped and painted to look like birds. But they're far from old fashioned. 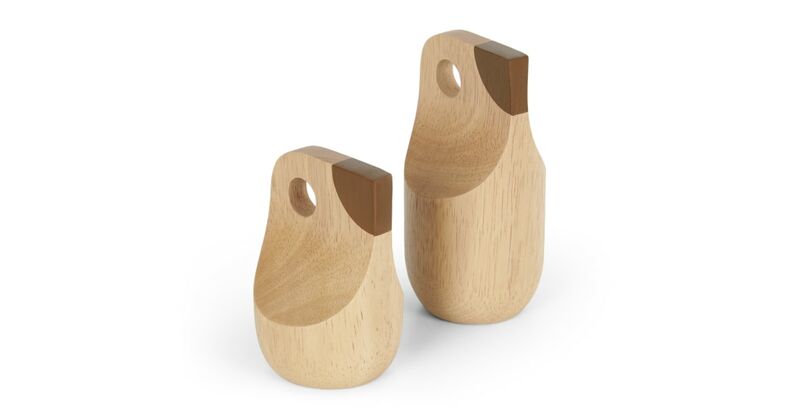 Display this set of 2 decorative birds proudly – on a shelf, sideboard or coffee table. Their simplicity is sure to command attention.